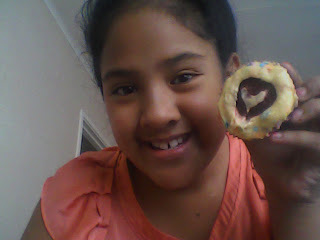 Today me my cousin and sister made some cupcakes. Some of the cupcakes were red velvet and the others were triple chocolate. It was really fun making. My Aunty and Uncle were the Judges and they said it AMAZING!!!. It taste really nice. They look great Angel. Masterchef here you come! Those cupcakes loke so YUM!!!! You are making me hungry already and my favourite cupcakes are triple chocolate I hope you had fun baking keep up the detailed posts. I like the look of your cupcakes and the look yummy. Keep up the good cooking.